Cooler weather has arrived and if your located anywhere but the deep south it’s time to have your BeeSafe Lawn aerated. 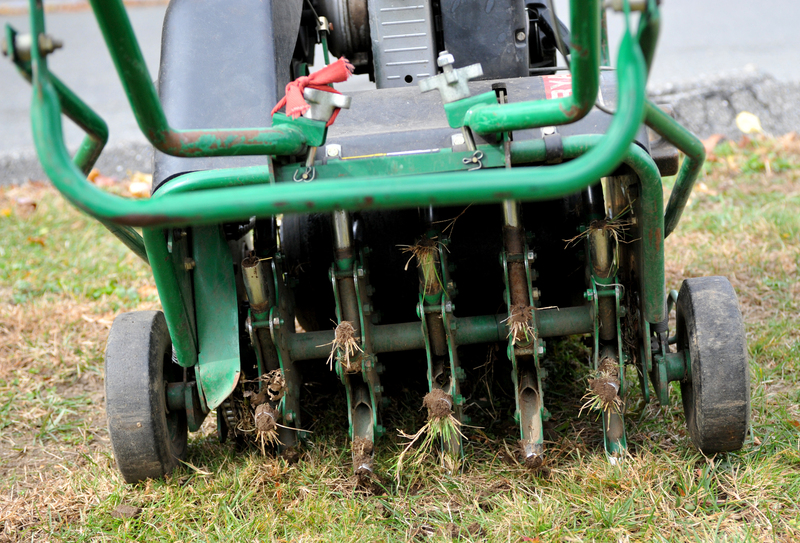 Aerating is the process of inserting holes in your lawn for new seed to grow strong roots, fertilizer to help accelerate the growth, and ultimately achieve a thicker, healthier lawn. The holes (or “plugs”) allow for better water absorption, nutrient absorption and help in the process of eliminating thatch. After several hot Summer months the top four inches of soil becomes extremely hard and compact, leaving no where for new seed to grow. When soil is compacted it keeps all healthy elements out including water and essential nutrients. Without any room to enter the soil, thatch from lawn mowing is not decompressed and returned to the earth. It will just sit on the lawn’s surface, inviting molds, mildews, disease and unwanted insects. Having your BeeSafe Lawn aerated also increases the amount of oxygen that can interact with your soil, which stimulates root growth and speeds up the decomposition of thatch. When the plugs of soil are removed during the aeration process the grass is stimulated to produce new shoots and roots that will fill in the new holes and increase the density of your lawn. « Your BeeSafe Lawn’s Final Cut.